AmeriCorps Field Crew Members (ages 18-25) receive on-the-job training to learn natural resources management skills and put those skills into practice completing habitat restoration projects throughout the Midwest. Crews complete natural resource conservation projects such as tree planting, exotic species management, trail construction, stream bank stabilization, prescribed burning, wildland fire fighting and emergency response. Crew Members also get the chance to work alongside conservation professionals and explore career options within the environmental field. -- Schedule: Full-time, Monday-Thursday, 7:00 a.m.-5:30 p.m. typical. In some locations, hours vary significantly, and overnight camping is often required 4-12 days at a time. -- Ability to work well with others in a team setting. -- Strong desire to learn new skills. -- Positive attitude and interest in service and community work. -- Dedication to complete full term of AmeriCorps service. -- Able to complete an arduous Work Capacity Test. The arduous level requires individuals to walk 3 miles in 45 minutes while carrying a 45-pound pack on level terrain. -- Flexible schedule to accommodate week-long out of town assignments. -- Flexible schedule to accommodate up to 30 days of out of town emergency response. -- Full term of service must be completed in order to receive the education award. For more details and a complete list of qualifications and requirements, please visit our application page. AmeriCorps Field Crew Members and Leaders (ages 18-25) receive on-the-job training to learn natural resources management skills and put those skills into practice completing habitat restoration projects throughout the Midwest. Crews complete natural resource conservation projects such as prairie restoration, exotic species management, fencing and lakeshore restoration. Crew Members also get the chance to work alongside conservation professionals and explore career options within the environmental field. -- Previous experience in a leadership role and ability to lead a crew of 4 or 5 members (ages 18-25). -- Experience or education in natural resource management, habitat restoration work and/or related fields. -- Experience in hand and power tool safety and small engine repair is preferred. -- Flexible schedule to accommodate week-long out-of-town assignments and emergency response. -- Ability to perform the Essential Service Functions 40 hours per week, including long (10 hr) days of difficult outdoor work. PLEASE NOTE: Positions based in Iowa start in January. Applications for these locations may close prior to the December 31 deadline. Please submit application materials as soon as possible. 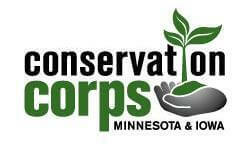 We will share your profile and application with Conservation Corps Minnesota & Iowa. 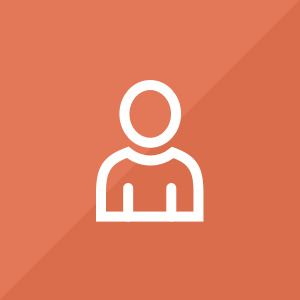 Before we can tell Conservation Corps Minnesota & Iowa to look at your profile and review your application, we need a few more details about you.